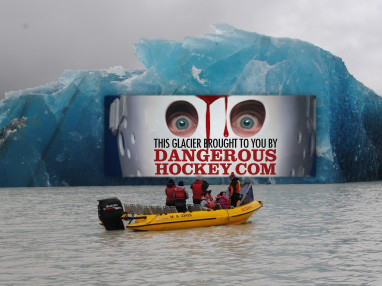 In an unprecedented show of support, Dangeroushockey has sponsored a massive glacier that has broken of the coast of New Zealand. “It’s all for the people of New Zealand.” All proceeds made from the sponsorship will be donated directly to helping the quake victims. "Donate to your local Red Cross"